Im using this stand for with my Stagg electric double bass. 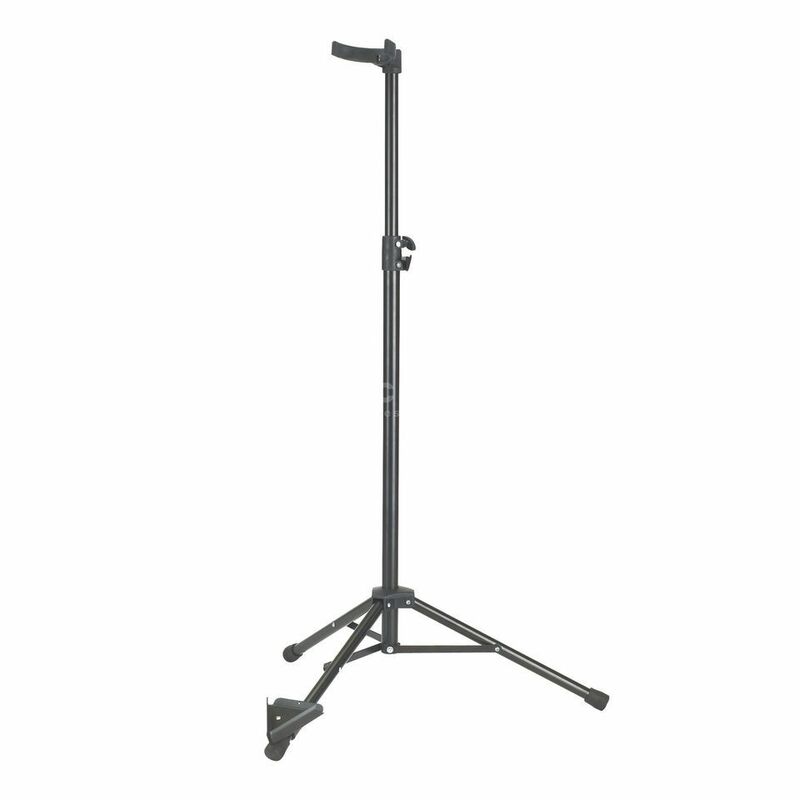 The stand is perfectly in the hight and the head can be adjusted to fit the neck to make it stable. I first bought a cheaper stand, but that one was too heavy and complicated. I returned it and got this one instead. In my case it was a perfect solution.